Of all the reefs in the Coral Sea that fall under Australian jurisdiction Mellish Reef is the most distant, being located approximately 1150km NNE of Brisbane the capital city of Queensland, 1080km East of Cairns, and 1100km West of Port Vila the capital of Vanuatu. Mellish Reef takes the form of an unusual boomerang-shaped platform around 10 km in length and 3 km across. The surrounding reefs, which enclose a narrow lagoon, are completely submerged or awash at high tide. 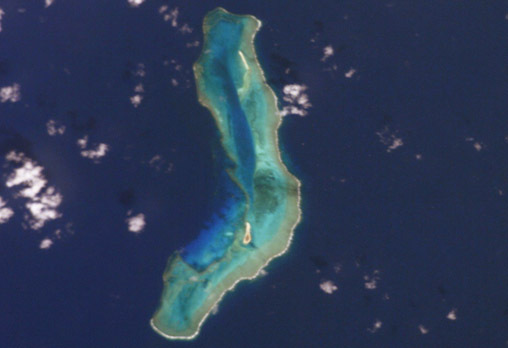 Near the centre of the lagoon is the only permanent land of the reef — Heralds-Beacon Islet. The island is a small cay measuring 600 m by 120 m, only rising a few meters above the high water mark. It is composed largely of sand, shingle and coral rubble. In the north is a narrow and elongate drying sand bar. 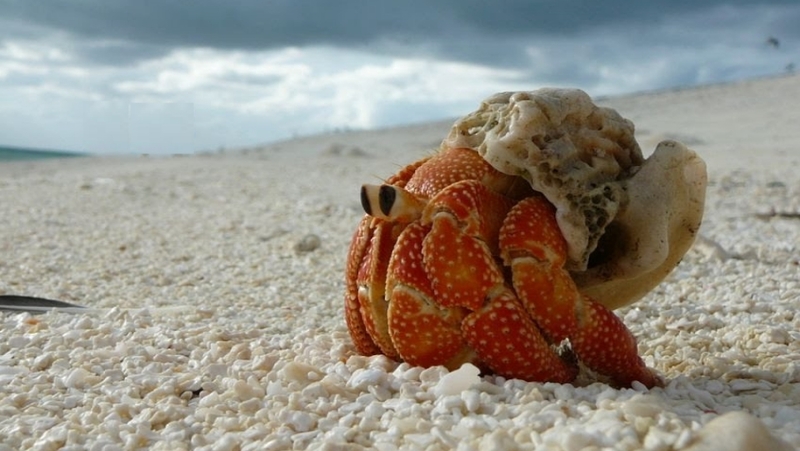 The reef is home to thousands of nesting seabirds of all species, a large population of nocturnal hermit crabs and a myriad of sand flies, ticks and lice. 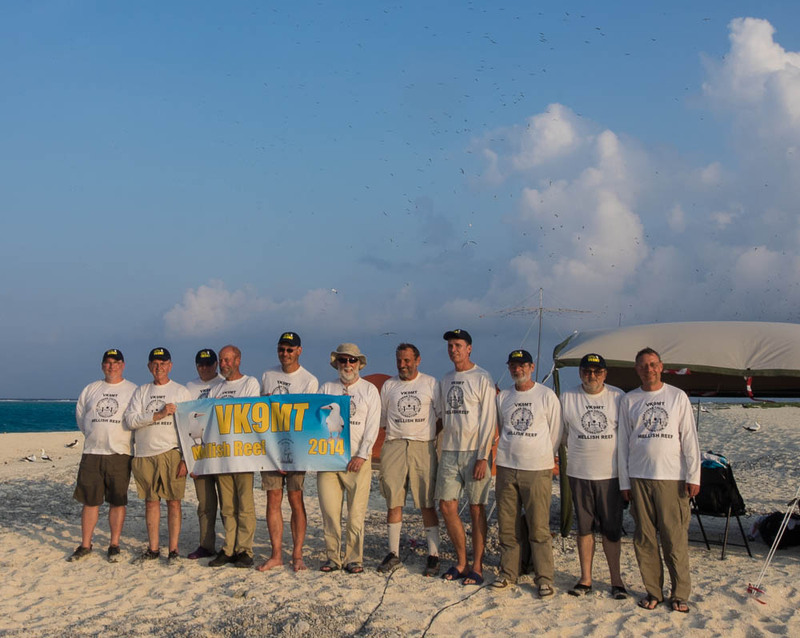 It might be April Fool’s Day, but the VK9MT Mellish Reef DXpedition team is not laughing about a station pirating its call sign. But “Team Mellish” is smiling about the favorable propagation, especially on the high bands. VK9MT got on the air on Saturday, March 29. The 10 operators are active on 160 through 10 meters on CW, SSB, and RTTY. “We are getting into what will be our routine for the remainder of the operation,” the group announced. “The team members are in good spirits, handling their maintenance tasks and operating during their assigned shifts.” VK9MT expects to be on the air around the clock. The team’s vessel is anchored 500 meters outside the dangerous coral reef; trips to and from the boat only take place during daylight hours. 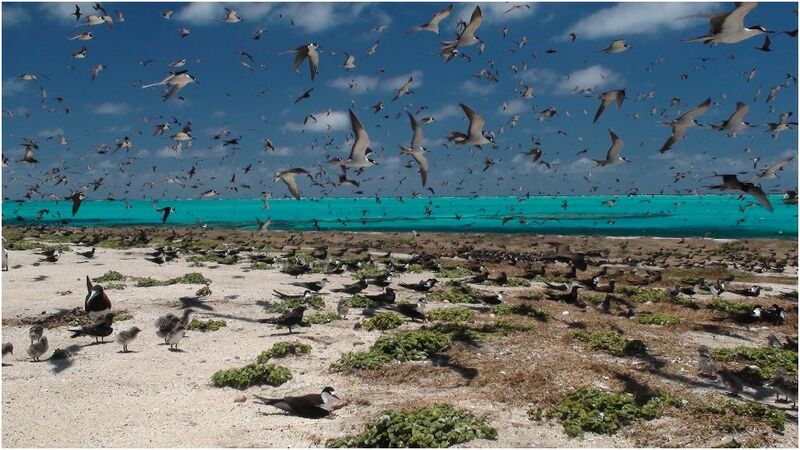 There are no trees and no shade, and the DXpedition reported that sea birds nesting on the island do not seem to be bothered by their presence. The operators will not communicate via e-mail during their 10 day stay on Mellish Reef, which is located some 1150 kilometers north-northeast of Brisbane, Australia. A pilot team is in place to manage all communication between the island team and DXers. An online log is available. The DXpedition has spelled out itsQSL policy on its website.